Why do they wear out so fast? Not like I spin circles in the parking lot. The right tire was close to bald. ABC should be good for tyre wear. By controlling the height and inclination of the body, it keeps the camber angle of the wheels right all the time. Of course, if the toe-in is wrong, tires will wear fast, but the wrong ride height will also increase tire wear because the camber will be wrong. Isn't the CL on the S class chasis? Weird that it didn't drive the same with the Struttmasters. Very very similar - though the S class has sway bar mounts on the rear sub-frame, and the CL does not. So there is a sway bar in the S class? I thought people wanted to add the sway bar with the conversion. At least that's what I gathered by reading posts on Benzworld. In this pictured stretch, I'm comfortable doing 75mph with the S430 airmatic but not with the S600 Strutmasters. 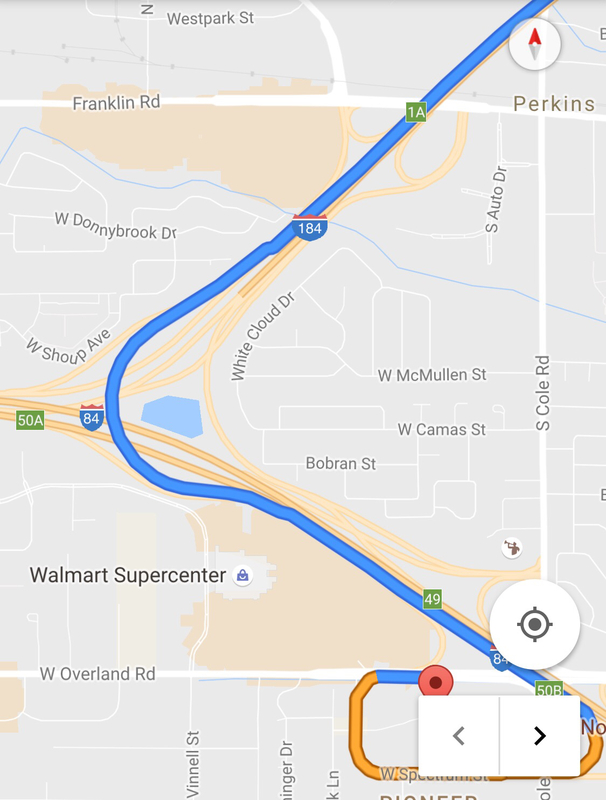 Luckily, I don't go through that stretch daily. The speed limit is 65mph and the yellow warning limit is 50mph. 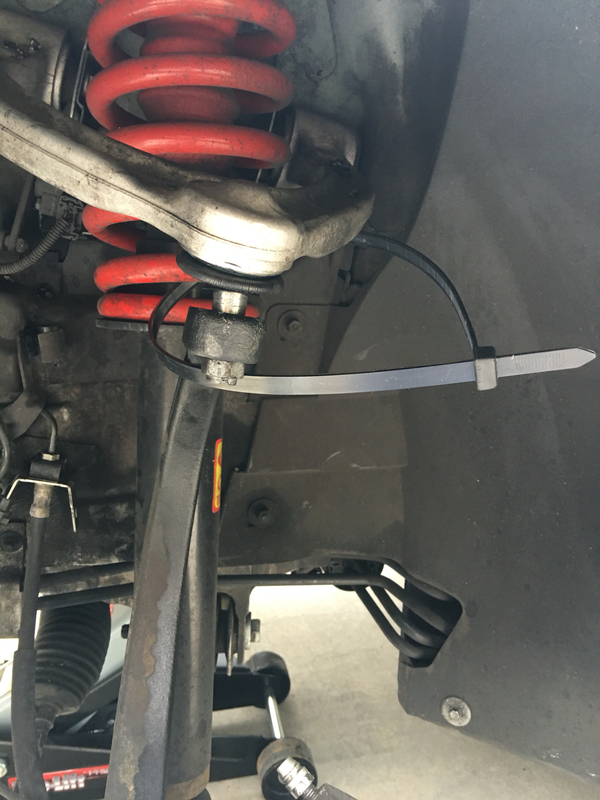 Airmatic suspension has sway bars front and rear. Passive suspension usually has sway bars - certainly cars with a long wheelbase do. 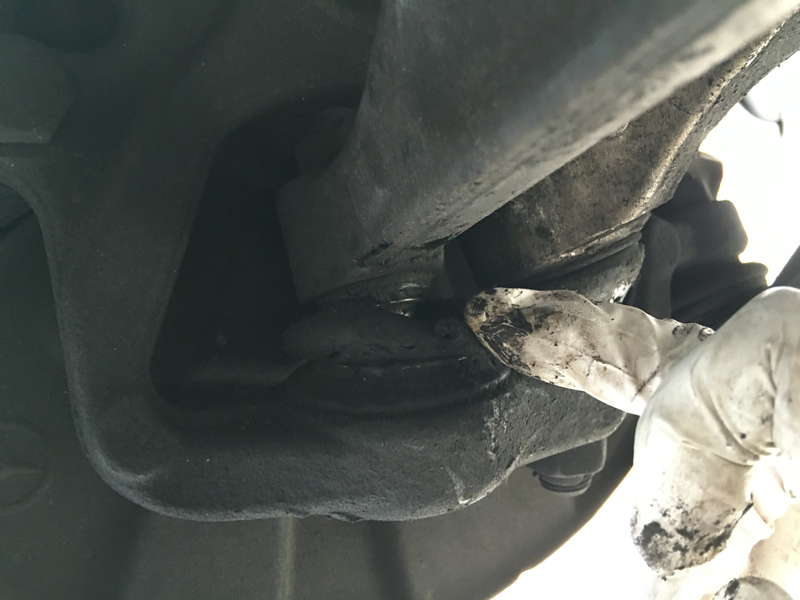 ABC does not use sway bars at all. Staggered tires (different sizes front/rear) wear the tires more quickly. Michelin cuts the tread-life warranty in half for those cars. They do !? I never heard that before, but I suppose it stands to reason. Maybe it's partly because staggered wheels are used by cars and drivers that are more likely to drive fast. Just a thought. Staggered wheels are ALMOST always wider rear, so if the rears are gripping harder, that suggests drivers lean on the fronts harder than they would otherwise. I'm a HUGE fan of non-staggered wheels, and both my Mercs are now non-staggered, but I don't have much experience with wear yet. I always found ABC to be kind to tires. With this experience, I wouldn't have anything except ABC and "square" wheels on a Merc. Last edited by Welwynnick; 09-02-2016 at 01:45 PM. My S600 Michelin PSS tires: 245/45/18 front 265/40/18 rear. Can I do something to the tires/wheels to improve handling? Or ABC my only option? Can I do something to the tires/wheels to improve handling? Or ABC my only option? Yes! Use 265/40/18 at the front as well. Inspect all the ABC flexible hoses every year, and replace any that are seeping. Wrap all the ABC flexible hoses within the engine compartment with aluminium foil. I wanted do do the oil change after 3000miles and that was a good thing. 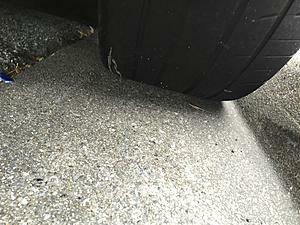 Lifted up the car this afternoon and found the driver front tire in this condition. What caused it? Would 265/40/18 be worst than 245/45/18? What's OEM size for 05 S600 AMG? That's very uneven wear. Unless you have a bent suspension component, you simply have a lot of toe-out, which would be clearly visible externally. This will make the car handle badly, especially at high speed. It will feel unresponsive to the steering. Does the steering wheel sit level when driving straight? You can adjust the tracks quickly and easily to put that right. You can check/set the toe pretty easily at home. - Drive the car forward onto a flat area with some clearance around the car. - Get four "things" to hold string at wheel-center level. Jackstands, concrete blocks, kitchen chairs, whatever. Put two in front and two behind the car. - Get some strong, thin cord. Run a piece down each side of the car, a few inches from touching the car, from behind the rear bumper to forward of the front bumper. - Use a tape measure to make the strings equidistant forward and aft of the car, and equidistant from the car. - Use the tape measure to measure from the front of the tread to the string on each side. Write down the measurement, identifying forward, L and R.
- Repeat at the rear of the tread. - Look at the measurements, and fine-tune the steering wheel adjustment to make the measurements as close to the same on each side. - Adjust the outer ends of the tie rods. Lifting the car will change the measurements. You can:Try to measure before lifting and record, then measure after lifting and record, and figure out how to change the lifted measurements so that you get the unlifted measurements that you want; Try to adjust the rods without lifting; Start by driving the car up onto some boards to get it high enough to adjust the rods without lifting; Or something else that you can devise to solve the problem. - Equal front measurements that are about 1/16" smaller than equal rear measurements. - Equal amount of threads on each tie rod. Make CERTAIN that you tighten everything when you are finished! 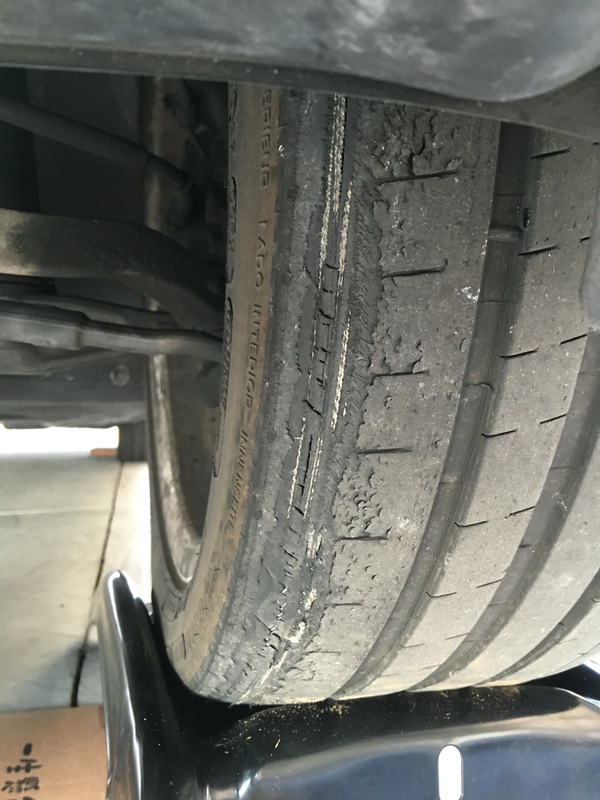 This will not be as good as a proper computerized alignment by an expert, but your tires won't wear like that on the inside! Last edited by wallyp; 09-03-2016 at 10:22 AM. - Adjust the outer ends of the tie rods. The strange thing is that I don't feel any alignment problem at high speed. I do feel bad handling with cornering. That uneven wear is a complete surprising to me. I will go with a new set of straight 265/40/18 as suggested. I found the culprit for front driver uneven tire wear. It's lower ball joint. And tricks/tips to remove it? I saw this just the other day. My car could also use some suspension work, but mine only shows light cracking on one of the joints, nothing super urgent but it's on my to do list. 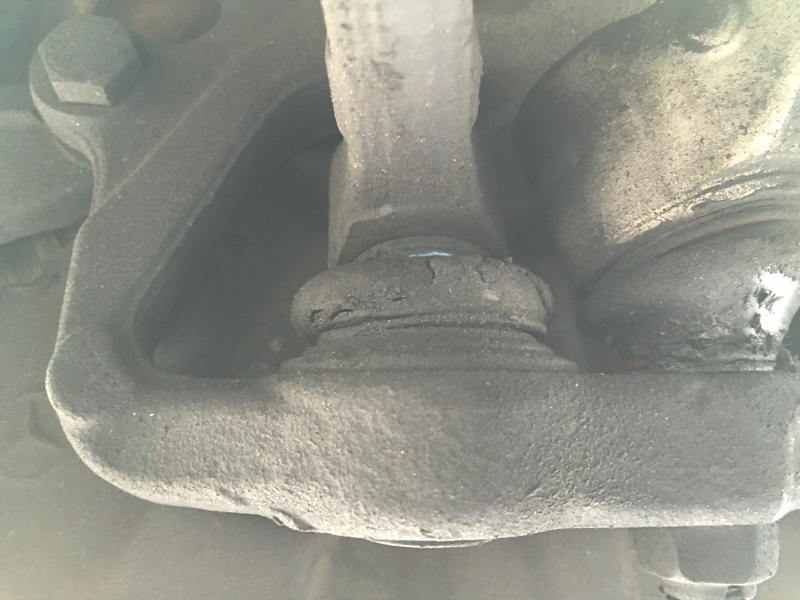 My dealer told me about the ball joints 2500 miles ago. I bought the parts and the tools but didn't feel the urgency until my tires went bad. The lower ball joint job looks easy after I disconnected the upper control arm. Currently I can't figure out how to remove the ball joint from the upper wishbone. Any ideas? 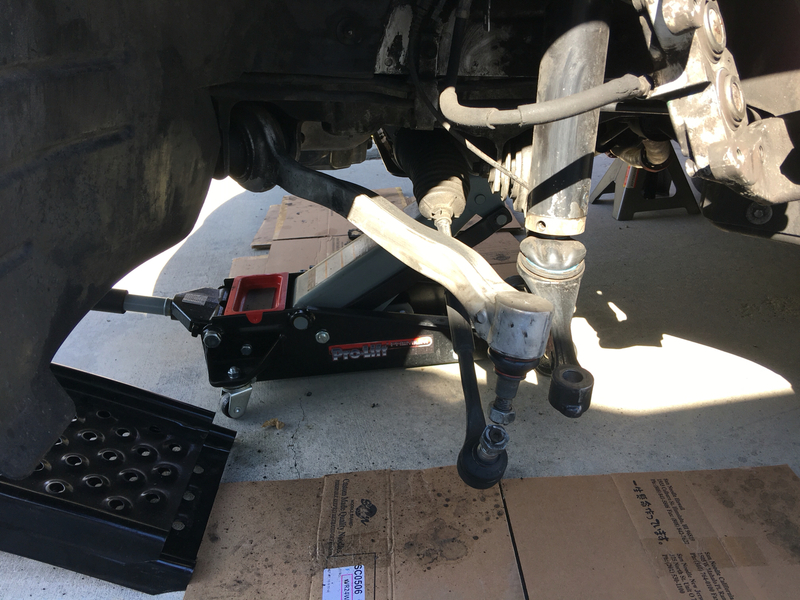 Yes - put a jack under the outer end of the lower control arm and lift it up slightly. Then use a lever to pull the upper arm down. You may need a cranked lever. That pushes the ball joint together hard enough so that it stays put when you undo the nut. Well, I abandoned the press out job on the wishbone arms bushing as the lower ball joint job is quite a challenge. I ended up disconnected the wheel from all ball joints in order to press out the lower ball joint from the steering knuckle. Guys, Is there a way to test the bushings? How can you tell if they're good or bad if they look ok visually?